Alla Petrova, BC, Riga, 14.02.2011. 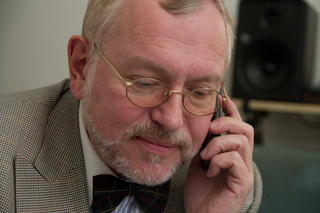 Uldis Augulis, the Latvian Minister of Transportation, held an emergency meeting on February 9th, 2011. The meeting was held to find a solution to the 1700 rail car tankers Lukoil subsidiary Litasco has backing up the Latvian railway system. The meeting took place at 4 pm in the Ministry of Transportation. Representatives from the Ministry, Latvian Railways (LDZ), Latvian customs authority, Ventbunkers (VBU) and Litasco attended. All parties were summoned to find a solution to the emergency situation on the railways caused by 1700 railcar tankers containing Litasco fuel oil. Uldis Augulis began the meeting by informing Litasco representative Andrei Polyakov that this has now become an international matter affecting the transit business from Russia and Belarus and seriously affecting the Latvian economy. „ If you don’t find a solution to this problem we will,“ said Augulis. VBU representative Daimars Skutans began a very short introduction by stating that Ventbunkers position had remained unchanged. Mr. Skutans stressed that VBU has been trying to get Litasco to lift their fuel oil from the Ventbunkers Terminal since late December 2010. "You are welcome to start lifting your product tomorrow," stated Mr. Skutans. Litasco has refused to send a ship to Ventbunkers Terminal since late December 2010, to lift over 100,000 metric tons of Litasco’s own fuel oil stored in VBU reservoirs. This has prevented Ventbunkers from accepting the Listaco rail tank cars for discharging. The transport minister then addressed Litasco stating that Ventbunkers has now expressed this same offer in front of over 20 people. He asked if Litasco is willing to help resolve this problem. Andrei Polyakov’s lengthy response was interrupted when the Minister told him that he is not interested in the story of Litasco but needs a solution. Mr. Augulis then asked „Is Litasco ready to lift its fuel oil and clear the Latvian railway system, yes or no?” He warned that if this is not done, the State could nationalize and sell the fuel oil in the rail tank cars. At the end of the meeting it became clear that Litasco would send a ship to Ventbunkers to lift the fuel. This will bring to an end the Litasco blockade of Ventbunkers and clear the transport corridor through Latvia. Lifting of the fuel oil began on the 10th of February when Litasco’s vessel „Urals Star“ arrived at Ventbunkers terminal. „We are grateful for the initiative of Mr. Augulis and of course we are happy to have Litasco remove the first 100’000 MT of fuel oil from our tank facilities. But this should have been done on December 25, 2010. It is simply not true that we ever stopped them. What have they achieved by blocking the Latvian railway system and our terminal? Nothing other than causing millions in losses and damages that they will have to pay.“ stated Dr. Rudolf Meroni, the Chairman of the Ventbunkers Supervisory Board. The lifting of the first 100’000 MT of fuel oil will not fully resolve the problems Ventbunkers has with Litasco. Litasco continues to hide where they allegedly paid approximately 22 million Euros for services rendered by Ventbunkers. “What is even worse, now Litasco alleges that there are some additional hidden agreements they signed with the false Berkis / Kass VBU management. This group was registered in the Register of Enterprises for a month based on some documents falsified by the notorious lawyer Martins Kveps. Litasco continues to refuse to show these hidden agreements to Ventbunkers. Polyakov’s silly games violate any minimum standards of business ethics,” stated BC Aivars Gobins, the VBU Media Director. Some rumors in the international oil industry say that Litasco’s blockade had two evident purposes: First trying to keep its competitor Mercuria, one of the world’s large energy traders, away from the port of Ventspils. Second, the Litasco blockade of the Latvian corridor may possibly be part of a bigger plan to influence the price of fuel oil in Europe. The second goal may have been achieved. JSC Ventbunkers was founded in 1994 and it is operating in the territory of Ventspils Free Port, where the company exploits an area of 27 ha. Ventbunkers ensures receiving oil products by pipelines and rail and further loading of oil products on tankers from 4 berths. Products are stored in tank farms comprising 26 tanks with the total capacity of 275 000 m³. Clients are provided a full range of services with respect to cargo handling and information.